My search for the heart and soul of Melbourne took me on a journey along Brunswick Street, where I discovered the elixir that is the City of Yarra. If the central city area is the financial heart, then this inner eastern and northern suburbs of Melbourne is surely the cultural soul. Lionel's Melbourne would not be complete without a swig of this enchanting potion and who better to share a merry drink and swop local stories with than her resident of more than 30 years and Mayor, Mr Geoff Barbour. Brunswick Street is one of the most famous streets in Melbourne, synonymous with creativity, music and art. For one of its residents, this safe and friendly location with its eclectic mix of fashion and entertainment has always been her favourite haunt so much so that it became home to her business. This quirky and unusual street is more than the idiosyncratic olive in a Martini potion of Fitzroy and Yarra served up at her Alchemist Bar and Café, which offers you a distinctive tang of art, fashion and multi-ethnic cuisine. It prepares your palate for richer flavours. It is the doorway to discover the unique character and changing face of Yarra. For Geoff, Brunswick Street and Fitzroy are reflections of the wider cosmic of Yarra and the challenges of balancing its preserved past with relevance to a contemporary future. 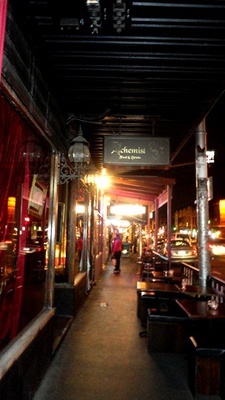 Brunswick Street has an identity shaped by its own unique history and that history dictates that there can only be one Brunswick Street. Its streetscape and individual buildings features some of Melbourne's best examples of architecture from the Victoria era. It was the first street in Fitzroy to be transformed from an unpaved strip with small shops in the 1840s to a commercial hub and one of Melbourne's most popular food, entertainment and shopping area by the late 1970s. 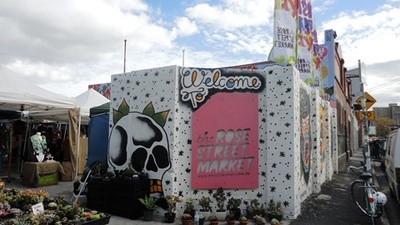 In the 1980s, it became the nexus of Melbourne's indie music and new-wave subcultures, when combined with the pervasive boho vibe encouraged a proliferation of street art and public art, which mark the Street till today and contributes to Melbourne being one of the best places for Art. As a hub of buzz, Brunswick Street has been designated for redevelopment as an Activity Centre in the Melbourne 2030 Metropolitan Strategy. The historic preservation precinct of Fitzroy was a suburb of workers' cottages and warehouses which underwent cycles of gentrification and urban renewal since 1950s. The lower rents and cheap shops supported a large socio-economic group of artists, students and public housing residents. 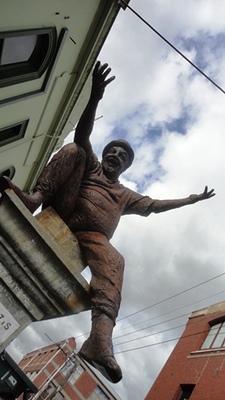 Post-World War II immigration added ethnic diversity into the area with working-class Chinese, Vietnamese, Africans, Spanish and Latin Americans. 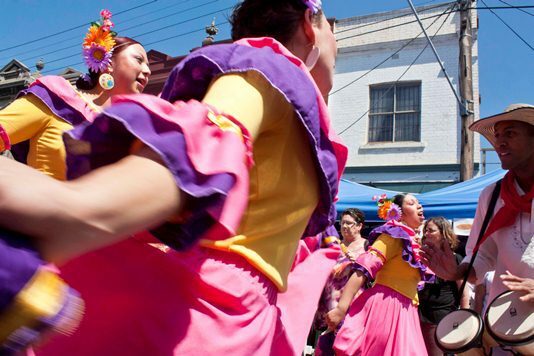 Today Fitzroy and its Johnston Street serve as the Hispanic central of Melbourne with Spanish and Latin-American eateries, clubs, bars and shops. However, the businesses and the people who live, work and socialise in the area are contributing to its changing face. Geoff who has lived and raised a family in Yarra since the late 1970s, has personally seen Fitzroy change dramatically in that time. He helped neighbours and friends better understand the changes through his former role as the President of the Fitzroy Residents' Association and as a Councillor in Yarra from February 2008. Geoff shared that Fitzroy had experienced a significant influx of new residents in the past 10 years and population growth is further expected as more industrial sites are made available for residential use. In those years, developers, architects, yuppies and trendy baby boomers have helped turned warehouses into modern apartments and shops into thriving bars. He explained the Yarra City Council can play a role in managing the development in and around the suburb such as seeking height limits for buildings and requiring adequate soundproofing in residential apartments to facilitate harmonious co-existence with live music venues. However, the Council's influence does not extend to the rents set by private landlords and the monoculture of bars and expensive fashion retailers edging out some of the interesting, edgy and non-profit businesses which call the area home. Geoff hopes that collectively, the various stakeholders value the area's identity as much as the Council does and will always seek to keep creativity and fun at the core of what makes Brunswick Street and Fitzroy such a great place to visit. This inner metropolitan municipality of 19.5 sqm is home to the suburbs of Abbotsford, Burnley, Clifton Hill, Collingwood, Cremorne, Fitzroy, North Carlton, North Fitzroy, Princes Hill and Richmond and parts of Alphington and Fairfield, south of Heidelberg Road. What makes the City of Yarra a truly amazing story in Lionel's Melbourne is the unique blend of post-war history and socio-economic-ethnic diversity that struggles to co-exist harmoniously. Take a look around Yarra, and you will see examples of that post-war history everywhere. But you will also see the pressures of modern, contemporary living on the very same space. Geoff believes that every city or town experiences generational change that is brought on by economic or social factors and Yarra is no different in that respect. However, it is the people who were part of those changes in the past 50 years that give Yarra its own special quality. Post World War II, the suburbs of Yarra were among the poorest in the city, populated by factory workers and large European communities, particularly Greeks and Italians. Due to its proximity to local universities, students began moving into the area in the 1970s and as economic changes in the early 1980s forced the closure or relocation of industrial businesses, Yarra began to develop a vibrant arts community which moved in to take advantage of the cheap and available spaces. Another 20 years after and those spaces are now prized sites for developers, and like many other developed cities the world over, former industrial sites have become new communities for professionals looking to live close to the CBD. As a result of the mix of public housing alongside expensive new developments that people are willing to pay a premium for due to Yarra's central location, the city today is home to an extremely diverse residential population with some of Melbourne's most affluent residents, large numbers of young professionals and some of the lowest incomes in the city. The most recent Census data indicated that about 40% of Yarra's 80,000 residents are aged between 25 and 44. Yarra's unique sense of place and identity is born of its places, activities and people be it cultural backgrounds, religious beliefs, festivals, community events, heritage buildings and neighbourhoods. Around 27% of Yarra's population were born overseas and over 5,000 Yarra residents have no or little proficiency in spoken English. The cultural diversity of Aboriginal, Asian, African, Anglo-Saxon and Latin American feeds its eclectic mix of arts, food and shopping which draws tens of thousands of visitors each month. Johnston Street is Melbourne's Spanish and Latin American HQ. More than just home to Jamón shops, Latino clubs, Spanish tapas bars and "ole" chants and flag waving with Spain's 1-0 victory over Germany in the 2010 World Cup, the district is where you can viva la Espana during its Latino Fiesta. For the Wurundjeri of the Kulin Nation who originally inhabited the area that is now known as Richmond, Collingwood and Fitzroy, Yarra continues to be an important meeting place for Aboriginal people in Victoria. 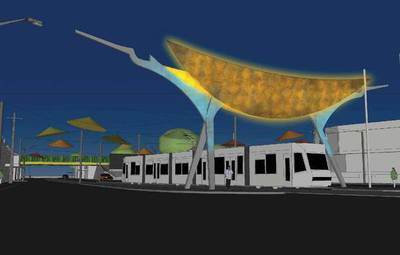 The Victoria Street gateway celebrates Yarra's Vietnamese and Chinese culture, drawing inspiration from the cultural icons such as Vietnamese hats, boat and bird forms, bamboo and Dong Son drum. Council, State and Federal government have jointly invested close to AUD2 million to celebrate the area's cultural identity. Geoff remarks that this gateway initiated by Council and the Richmond Asian Business Association, will stand at one of Melbourne's busiest intersections, becoming a prominent landmark that welcomes the thousands of visitors who come to Victoria Street each week for its vibrant mix of culture, dining and retail. The Council's appointment of Ms Vijaya Vaidyanath, an Indian as its new CEO in May 2012 cements its commitment to cultural diversity. The look and feel of Yarra's neighbourhoods provides the sense of vibrancy, richness and character that attracts people to live, work and shop here. The Council's commitment to enhancing the City's recreation spaces, gardens, rich historic fabric and promoting the area's history through its cultural landmarks, public art and streetscapes contribute to the local character. This also ensures those sites of historical, architectural, aesthetics, spiritual and/or social interest and value to the community are protected. Streets like Amess Street, named after former 19th century Lord Mayors of the City of Melbourne like old Samuel Amess, now have a note attached explaining how it got its name. A continuous schedule of Art and cultural activities, including local galleries, festivals and public art contribute to the individual character and identity of Yarra. With a local economy of 8,720 businesses characterised by 80% small businesses and large categories of property, business services, health and community services, and 38,000 residents employed mainly as professionals and managers, Geoff and his Council understand the value of diversity in building a vibrant community that continuously attracts and feeds creative talent and businesses in terms of mix of business types and size as well as residents across age, skills and cultural backgrounds. In addition to having a Mayor who enjoys getting out and meeting residents and citizenship ceremonies, which celebrate new arrivals to Australia, I was pleased to learn that the Yarra City Council is a signatory to the UNESCO Coalition of Cities against Discrimination in Asia and the Pacific. More importantly for residents, this is not just a fashion mouthpiece but an extension of its daily effort to build an inclusive society. The Council has incorporated the UNESCO commitments into its municipal policies and strategies as well as allocating appropriate resources to act on them. Residents of culturally and linguistically diverse backgrounds including Aboriginal and Torres Straight Islanders are consulted regularly to ensure their views were reflected in Council policy development and decision making processes. In addition, the numbers of bi-lingual representatives are also increased in the Council's Yarra Matters Panel. 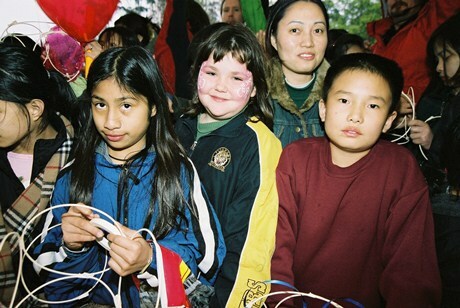 Yarra is also home to many migrants and recent refugees. Apart from its public housing which provides an affordable roof over the heads of these families, the Council works with these communities to offer support services and integrate them into society. The Community Fruit & Vegetable Market, a not-for-profit social enterprise run predominantly by volunteers, helps provide affordable and culturally appropriate produce to low income residents. Public housing residents also receive support from the Chinese Tenants Association through home visits, meal deliveries and medical check-ups. To breakdown the isolation barrier of cultural communities, the Australian Vietnamese Women's Association organises weekly meetings for disadvantaged Vietnamese parents and children to meet and support each other. Literacy and numeracy classes for migrant communities including the Adult Migrant English Program are available through learning centres like the Carlton Neighbourhood Learning Centre. Young Chinese mothers who do not speak English well can still feel socially connected through community strengthening programs at the North Yarra Community Health Centre. The Centre also runs a Yarra Men's Shed program supporting men's health and mental wellbeing. African Muslims interested in Arabic classes and educational activities can participate in the Fitzroy African Muslim Group operated by volunteer residents from the Atherton Gardens Housing estate. Residents requiring assistance in all aspects of refugee and immigration law, policy and practice can turn to the Refugee Immigration Legal Centre (RILC). Geoff remarks that more restaurants, shops, other hospitality outlets and professional services will spring up in Yarra as more young professionals relocate into the area. Beyond the exciting main strips covering the spectrum of art, entertainment, shopping and dining, there is a proud and wonderfully diverse community that is warm, welcoming and thrives on new ideas. 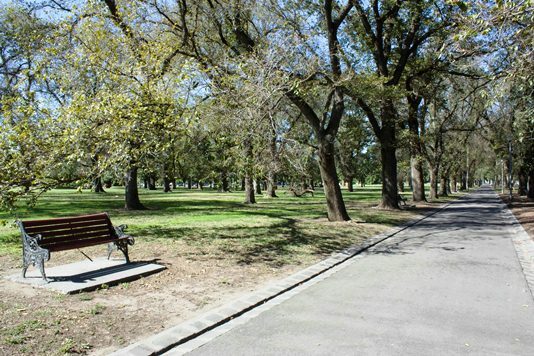 Due to large parts of Yarra having once been industrial areas, one of the challenges for Council is to find new spaces where they can create new parks and outdoor space for residents like the new parks in Richmond and Collingwood. Geoff wants Yarra to continue to be a great place to live and not just an enclave for the well off. This means maintaining its diversity in face of rising property prices and rents and maintaining support for lower income residents and a wide range of arts. The Yarra City Council invested more than AUD1.5 million and granted a 40-year lease to the Yarra Commuity Housing to develop a four-storey building with 14 studio apartments to support affordable housing in the area. Located at 239 Brunswick Street and completed in 2011, this project received funding approval under the Australian Government's Nation Building Economic Stimulus Plan. Despite this undertaking, many new private property developments are being proposed in Yarra and Geoff and his Council face the challenge of preserving the affordability of housing property so that middle or low income people are not forced out of the area. Some of them are so different to what exists and the community is understandably reluctant to accept the rapidity of change. Geoff believes the redevelopment that is occurring in Yarra needs to be tailored to suit the look and feel of its neighbourhoods. A point echoed by residents and illustrated in their objections to the redevelopment of a single 19th century warehouse at 97 Rose Street into a mix-used licensed venue with apartment units in a street that is entirely residential and zoned heritage. Some residents believe the 6-storey Raw House development would diminish the heritage streetscape, affect the amount of sunlight available to neighbours and encourage alcohol-related violence outside Rose Street homes. Unfortunately, the State Government has not given the Yarra City Council the tools to fully control the planning approval process. As a result the community's vision and aspirations for the Smith Street Major Activity Centre was overturned. This was a plan developed after 7 years of consultation with residents, traders, landholders and government representatives, with considerations given to the mix of land use activities, public spaces, transport and buildings, the area's cultural and economic role including acknowledging existing heritage fabric, landmark buildings, heights and lot sizes, and in line with local and state planning policies. Apart from the efforts of existing arts spaces like the Rose Street Artists' Market, Geoff shared that Council needed to start thinking creatively about how it could support the local arts community as the City's cultural identity has been synonymous with creativity. There are still significant numbers of creative people who want to live and work in Yarra but high property prices and redevelopment of warehouse spaces is slowly pushing them out to other areas. In addition, resident don't want to see Yarra dulled down because artists can no longer afford to base themselves there. Council understands that the loss of the City's arts community equates a loss of identity and the sense of what makes Yarra such a great place to live and work. rents and property values, the Yarra City Council has decided to establish a charitable fund to help meet the costs of providing creative spaces for artists in Yarra including providing grants to arts organisations and individual artists to assist with the costs of purchasing, renting or upgrading artistic space. To support and celebrate Yarra as a breeding ground for musicians over the decades, a new live music festival held across existing indoor venues in Yarra is also set for winter of 2013 under a Council initiative. Yarra is where you can find some of the best and brightest people and ideas living in some of the oldest and most historic parts of Melbourne. 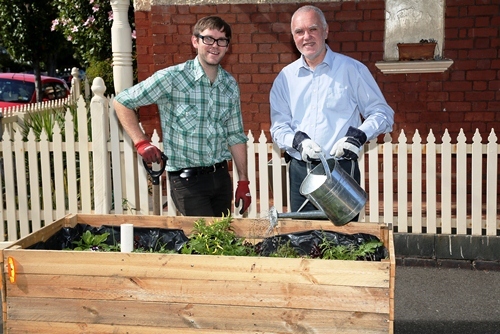 The challenge of ensuring Yarra's sustainability inspired Geoff to serve the local community through the North Yarra Community Health Board, Australian Labor Party in addition to Council. His period of active involvement in local political and social arenas exposed him to a number of processes and issues, and he continues to work at solutions to those important local issues as Mayor succeeding former Mayor and Greens Councillor Alison Clarke in late 2011. This Mayor definitely has one eye on the past and one on the future, and is always looking for the perfect balance between the two. Thanks to Geoff's company and insights through my journey of Brunswick, Fitzroy and Yarra, I realised that the City was not entirely bohemian as I originally perceived. She did not always wander without purpose nor acted free of regard for convention. She was tolerant, accommodating, benevolent, welcoming and accepting. She was the soul of an artist and the heart of a humanitarian.